Many customers come to us having purchased a home with a solar thermal system already in place. Often the system has been poorly maintained or is utilizing out-dated controls. We revel in the opportunity to incorporate new controls, heat exchangers, panels, and components to produce and distribute the solar thermal water heated by the system to appropriate applications. One of the most satisfying aspects of incorporating modern controls on these systems is that the customer can readily see with digital read-outs the great surplus of solar energy being produced and stored, and this level of engagement is a key component in participating in the alternative energy movement. 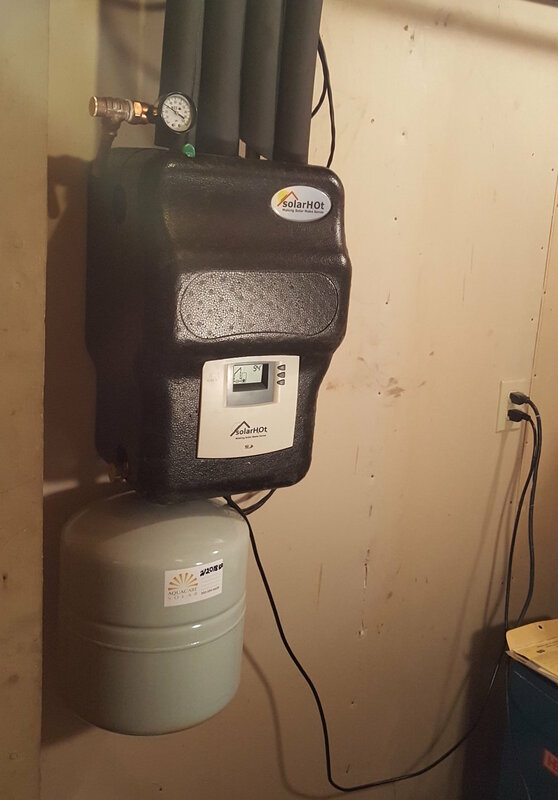 These types of system upgrades are our favorite service calls because the home-owner often has to face the decision of whether or not they want to have the system removed or retrofit it for more efficient utilization. The economic implication of doing a system upgrade is such that the system can readily satisfy a Return On Investment (ROI) in contrast to new systems that involve a much larger capitol investment upfront. Copyright 2019 Aqua Care Solar. All rights reserved.